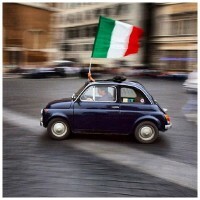 Would you like to learn Italian but can’t find any Italian classes near you? Then a great alternative is to learn Italian via Skype. Learning Italian online via Skype is an option if you are so busy that you lack time to commit regularly to an Italian class or who are too far from your local class for it to be convenient. To learn Italian via skype is easy. Skype is a great communication tool and enables us to communicate face to face and even share written Italian exercises, comments, spelling and grammar tips during the lessons. I have many students that have advanced their level significantly through my Learn Italian via Skype courses. Lessons are customised to suit your needs and level, whether you are a beginner, intermediate or advanced level speaker. I enjoy helping my students reach their particular learning goals and devise lessons to enable them to learn relevant vocabulary, whether they are learning for pleasure, business, or studying toward a qualification. Please contact Amedea at Learn Italian Manchester for more information.